Crochet continues to evolve in unique ways, and one style of crochet that has become more and more popular in recent months is hand crochet – that is, crochet that only utilizes your fingers, no needle required. What’s the point? It allows you to use bigger, thicker, chunkier yarn but takes less time than using a crochet hook. Most of the time, people use this type of crochet to make afghans, blankets, and throws. 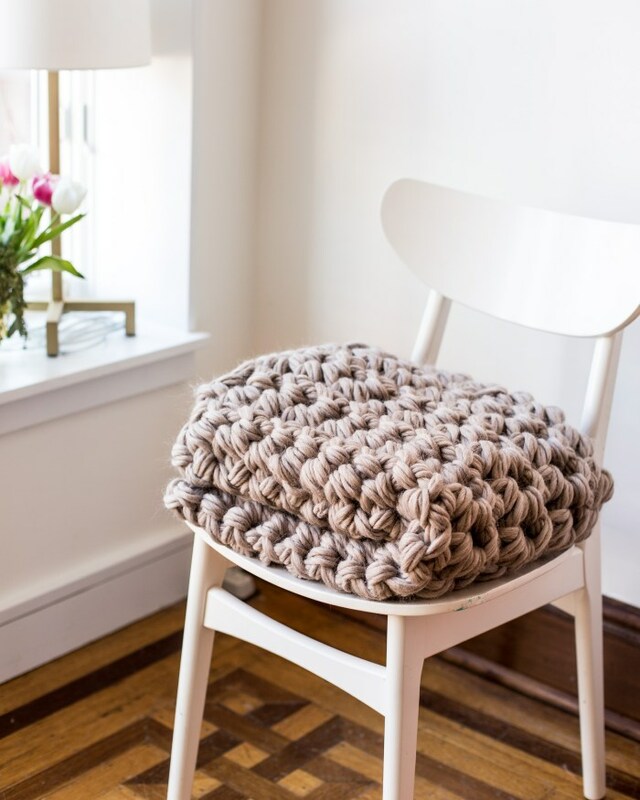 Want to try your hand at making one of these cozy, comfy projects? Flax And Twine have a spiffy PDF pattern and video tutorial available for a small fee, or you can purchase the entire kit (which comes with everything you’ll need for the project, including the yarn). The result is a 36″ by 42″ chunky blanket that is sure to make you the envy of all your friends. Imagine tucking yourself in for a cozy night at home with some wine, snacks, and this luxurious blanket. If you’re a little unsure about how crochet works with just your hands, you can find a free hand crochet tutorial and blanket pattern at Simply Maggie. The finished blanket measures 53″ by 46″ and includes tassels on each corner for a comfy chic look. DIY Everywhere also notes that once you’ve got the gist of the hand crochet technique, you can try out Simply Maggie’s free video tutorial for a blanket using the basket weave stitch for an even more impressive end result. Whichever pattern or video tutorial you choose, hand crochet is a fun skill to learn and creates beautiful results. 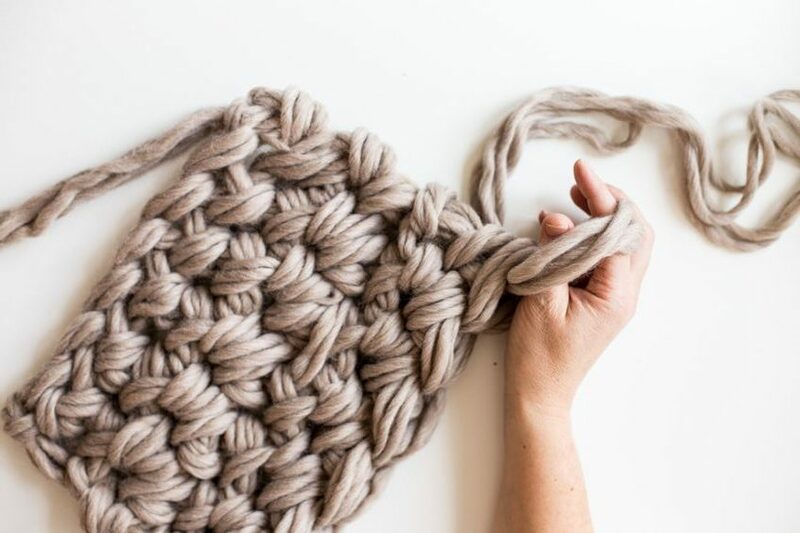 You can use the technique to develop more projects, like rugs, baskets, and cushion covers. If you’re eager to try this out for yourself, you can find both for-purchase and free patterns and video tutorials at Flax & Twine, Simply Maggie, and DIY Everywhere.